LEARN SWIMMING AT THE BEST POOL IN TOWN WITH TRAINER. LEARN SWIMMING AT THE BEST POOL IN TOWN WITH TRAINER. BLUE POOL MEMBERSHIP STARTING @ Rs. 1,999/- ONLY. 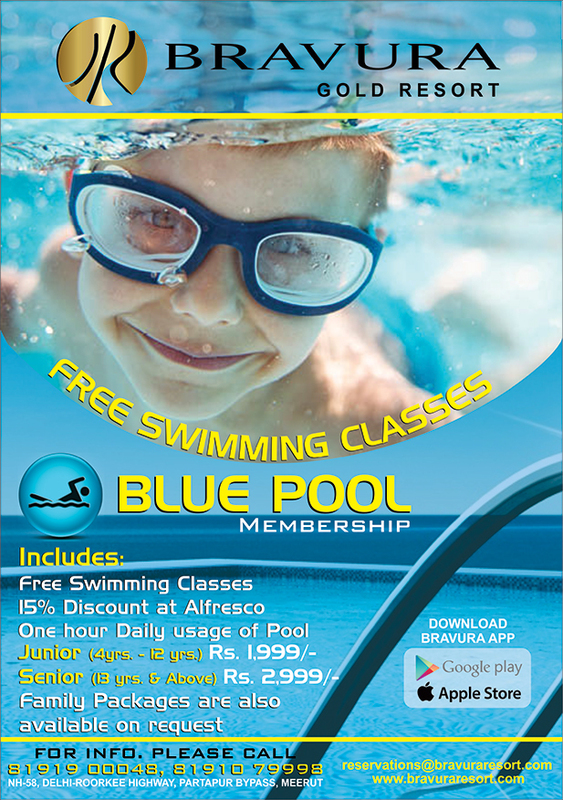 To know more details about LEARN SWIMMING AT THE BEST POOL IN TOWN WITH TRAINER. at Bravura Gold Resort, kindly send us your request using our Enquiry Form and we will contact you at your convenience. Alternatively, you can also email us directly at reservations@bravuraresort.com or call us at +91-121-7196655, +91-8191079998, 8191900048.